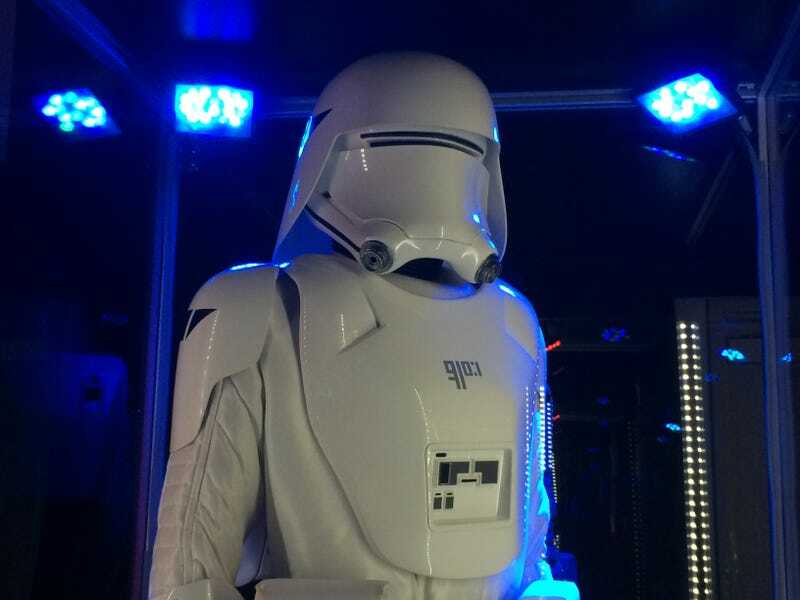 Star Wars Celebration's exhibition floor reveals a whole heap of props, costumes and brand new Stromtroopers, in an exhibit dedicated to Star Wars: The Force Awakens. Meet some brand new characters, including FlameTrooper, Desert Nomad, Junkyard Thug and the new face of the SnowTrooper. Note the new square radar dish. The Resistance X-Wing Fighter. According to the sign next to it, "the modern incarnation of a classic design, the T-70 X-wing fighter is the signature combat craft of the Resistance forces in their fight against the First Order."